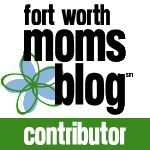 I’ve been blogging since blogging wasn’t cool (2005), and along the way I have discovered some really interesting people. I thought I would share the wealth. Because I’m an organized person living in a disorganized person’s body, on a rare day when I had some free time I categorized my blog reader. It was either that, or wash my windows, and this was a lot more interesting. My windows could still use a good cleaning. 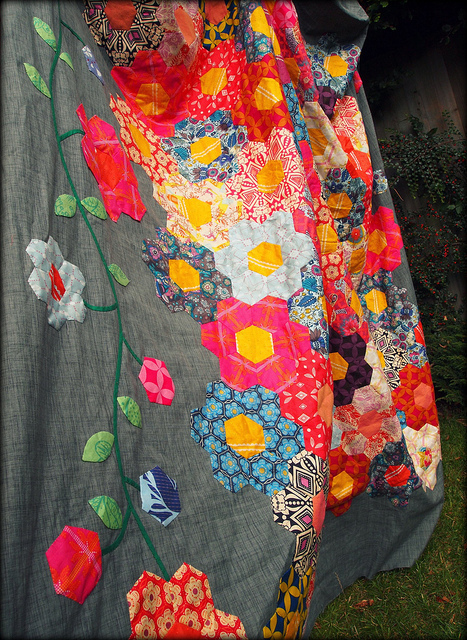 I love pretty pictures of quilts, and she always pics the greatest fabrics. 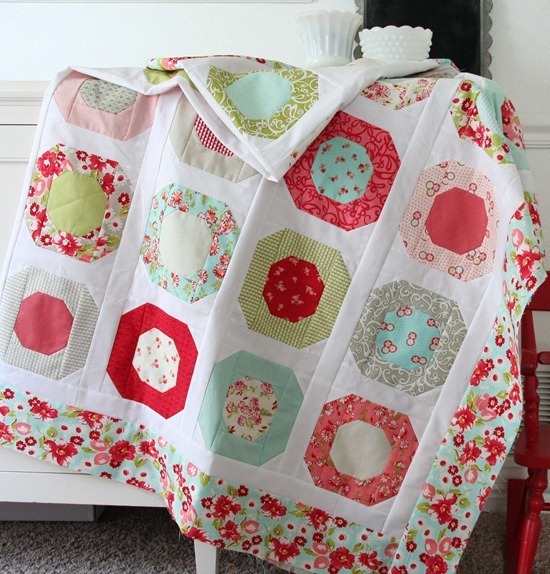 Some of her quilts are simple enough for me to attempt, and have been added to my “to do” list on Pinterest. 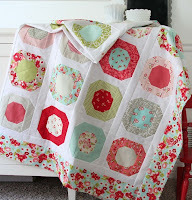 This was the first quilting blog I started following, and it will probably always be my favorite. This quilt is the next one I’m going to tackle after my super secret surprise quilt is completed. This one is almost all applique, and may take me a day or two (or year) but every time I look at this picture, I gasp in delight, and it’ll be a fantastic way to use up my ever-growing scrap pile. I started following because of the name, but I stayed because these quilts are so unique. I’ll probably never be able to make anything like this, but I can still enjoy the pretty pictures… and dream. 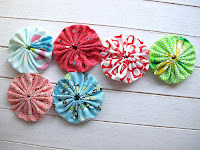 This is what inspired my yo-yo quilt, although 200 yo-yo’s through I realized I was making them wrong (my centers are unfinished, but I choose to think that it makes mine soft and cuddly and unique… plus it’s too late to start over). I’m anxiously waiting for later this fall when she posts her tutorial of how to machine-stitch my 1,000 yo-yo’s together into a coverlet. I know that once I begin, my sewing room floor will be covered in yellow and gray yo-yo’s for quite some time so I don’t disturb my pattern. Someone recently asked me how I started quilting – I simply bought an inexpensive Singer sewing machine on a whim at a trip to Target, invited a girlfriend over to teach me how to operate it, and from there, I just winged it. 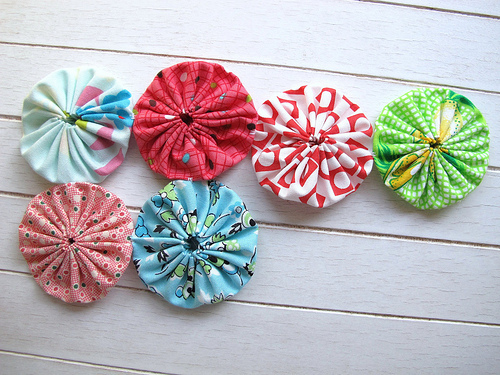 I’ve had no formal training, but following these blogs (along with YouTube videos – God’s gift to the “I have no idea how to do that” quilter) has taught me so all sorts of new tips. I’ve approached a few workers at quilting stores, but for the most part, I’ve found them to be a bit snobbish – it’s easier to learn from the comfort of my laptop.